I have read a lot of C.S. 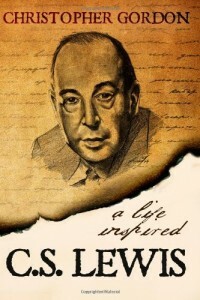 Lewis in my lifetime, so I was interested when Kindle offered this book free by Wyatt North Publishing. I was not disappointed. This is a new attempt at giving the spiritual journey of Lewis beginning with his separated childhood, secluded in a country house with nothing but books, to his life of notoriety as an Oxford professor of English Literature and author. It is different than a standard biography, though it covers the major events in Lewis’ life chronologically, even his literary works, but more than that its purpose is to watch God as the divine Angler, pull His fish in over time and circumstance. It is not a long read, but one that would touch a similar atheist or agnostic and bring him on his journey to faith.